Each year, DeKalb Sycamore Area Transportation Study (DSATS) staff submits an annual report which identifies all the accomplishments achieved in the recently completed fiscal year. The DSATS Procedures provide staff and committee member’s guidance on conforming to all the rules and regulations for the Federal and State Agencies who provide grant funding for DSATS, and local city procedures. This study identified possible alignment alternatives for an approximately 9-mile eastern transportation corridor linking Sycamore to Cortland. The DeKalb Sycamore Area Transportation Study (DSATS) hired Fehr-Graham and Associates to perform a freight rail study to identify whether the rail lines traveling through the region could support spurs where businesses in the region could ship products and supplies in and out of the area by rail. In 2007, the DeKalb Sycamore Area Transportation Study (DSATS) assembled a task force to create plan to initial Human Services Transportation Plan (HSTP). Intelligent Transportation Systems (ITS) are the integrated application of various technologies and management strategies to provide traveler information to increase the safety and efficiency of the surface transportation system both private and public transportation. DSATS maintains a Long Range Transportation Plan which assesses the current state of the transportation systems within the DeKalb-Sycamore region and projects the state of the system out at least 25 years. When the federal government published its SAFETEA-LU transportation bill it mandated an Annual Listing of projects, including investments in pedestrian walkways and bicycle transportation facilities, for which Federal funds have been obligated in the preceding year shall be published or otherwise made available by the cooperative effort of the State, transit operator, and metropolitan planning organization for public review. The listing shall be consistent with the funding categories identified in each metropolitan transportation improvement program (TIP). This study reports the conditions of roads within the DSATS are which are classified as Collectors or Arterials. The DeKalb Sycamore Area Transportation Study (DSATS) works to provide opportunities for meaningful public and stakeholder involvement in transportation related decision-making processes. The DeKalb Sycamore Area Transportation Study (DSATS) takes annual traffic counts throughout the DSATS area in order to better understand truck and traffic flows. 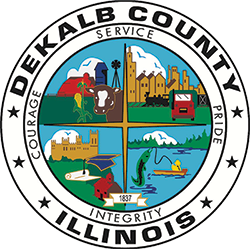 DeKalb Sycamore Area Transportation Study (DSATS) tries to conduct a comprehensive transit analysis every 5 years, usually in conjunction with the Long Range Transportation Plan update. The DeKalb Sycamore Area Transportation Study (DSATS) is the agency which approves all transportation projects in the region which are using at least some federal funds on the projects. As part of this process, DSATS staff works with the engineering staffs of all the member organizations to ensure all highway projects are listed on the DSATS Highway Transportation Improvement Program (TIP) and the Illinois State TIP, along with ensuring all projects conform to all Federal regulations. The Unified Planning Work Program identifies the goals and objects of DSATS. This is a required document which must be submitted annually by all MPO’s in the United States to continue funding of their operations. For other reports and studies, please contact the DSATS office.